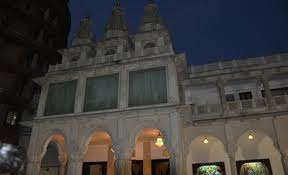 Here is Some Information about Iskcon Temple Mumbai Maharashtra india. Significance:The Temple is one of the most beautiful temples of Lord Krishna in Mumbai. 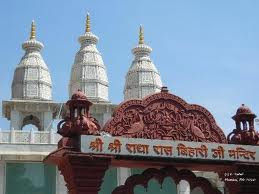 Isckon Temple is Located in Juhu Mumbai Known as The Radhe Krishna Temple.Iskcon Temple in Mumbai is one of the four Hundred Iskcon temples across the world. Isckon stands for International Society of Krishna Consciousness. Established in 1978, this temple is also known as the Hare Rama Hare Krishna Temple. This name dates back to the fact that the temple was established under the Hare Krishna Movement founded by his Divine Grace A.C. Bhaktivedanta Swami Prabhupada. Made of white marble, Iskcon Temple is very spacious and has an inbuilt publishing house, guest house and a restaurant serving Vaishnavite food. The walls of the temple are adorned with beautiful paintings. 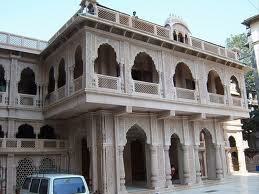 Aimed to preach the sayings of Bhagwad Gita, this temple has Radha Rasabihariji as its presiding deity. The best time to visit the Iskcon Temple us during the celebration of Lord Krishna’s birthday, which falls in the month of August or September. Millions of devotees from all over the world visit the temple during Janmashtami. Daily spiritual courses are also available in the temple, a major highlight of which is the robot show demonstrating religious knowledge. The Hare Rama Hare Krishna Temple, commonly known as Iskcon Temple, overlooks the skyline of Juhu in Mumbai. 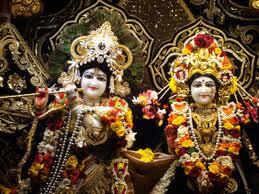 It is among the most visited temples dedicated to Lord Krishna, also known as Sri Radha Rasabihari. Founded by Swami Prabhupada in 1978, and managed by Iskcon, the temple is set upon prime land of Hare Krishna Land sprawling over 4 acres. Iskcon Temple of Mumbai, dedicated to Lord Krishna, is amongst the forty Iskcon temples across India and a major attraction of the Juhu locality. Swami Prabhupada inspired the construction of this beautiful temple in Mumbai to spread Krishna consciousness. Also known as Radha Rasabihariji temple, thousands of devotees swarm the temple from across the globe to seek peace. Place is very famous For Mumbai Tourist Attractions. 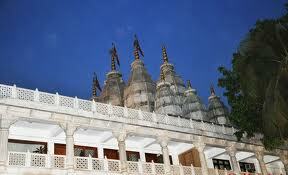 Its a temple of Lord Krishna of Mahabharata a mythological story. 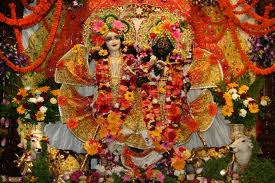 Janmastami(Which is Birthday of Sri Krishna ‘Hare rama hare krishna’) is celebrated highly here. Its a peaceful temple at juhu beach, You will find beautiful paintings all around, They also arrange for food/snacks for visitors in very nominal charges. You will find people wearing orange dhoti.In the main hall, there are paintings depicting the incidents from the life of Lord Krishna. The unsurpassed architectural magnificence of the temple is worth-seeing. On your visit to this temple, you will see numerous devotees working and chanting the ‘Mahamantra’ (literally the great syllable) granted by Swami Prabhupada. The temple authorities also conduct various educational, cultural and social programs to augment the Vedic wisdom. Iskcon Temple can be visited all the year round. However, the best time to visit the temple is during the festive season of Janmasthami in the months of August and September. 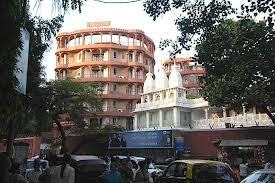 It is during this grand occasion that Iskcon temple at Juhu becomes a host to millions of devotees. By Road : Eastern Express Highway OR National Highway 8 which Mumbai Ahmedabad highway, Once you are in city take turn from Andheri inside, cross the airport road and flyover bridge towards west and its almost 10 minutes then. By Train : Andheri on Western Railway Suburb being the main station to get down. If you are coming from outside Mumbai you might like to know how to reach Iskcon from landing stations like CST, Dadar, Kurla, Borivali etc. From CST, Dadar and Borivali direct trains are available to Andheri and from Kurla you can plan a bus to Juhu depot or a private cab/auto. By Air : Domestic and International Airport is about 4 km from Iskcon temple at Juhu, Private Yellow Black color taxis and Prepaid cabs are readily available outside airport. It will take approximate half hour to 45 minutes to reach this Juhu temple.